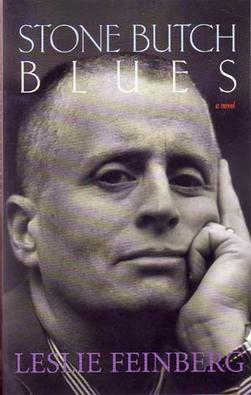 In memory of Leslie Feinberg, who saved so many lives. Ze healed the world beyond any one person’s due. I am a man. I used be a stone butch. Sifting through my gender issues as a young adult, the stone butch was the model that first moved me. Feinberg’s Stone Butch Blues changed my life. For the first time, I saw a reflection I didn’t have to squint at too hard to recognize. I embraced the identity as fully as I could. There came a time that model didn’t fit me anymore. I realized I am most comfortable moving the world as a man. I pursued medical, legal and social transition, and have been all the better for it. I am grateful for the time I spent inhabiting a butch identity. It was butches, and the model of butchness, that taught me masculinity. I learned to be a gentleman. I learned that the truly strong, masculine person has the utmost respect for femininity, for all kinds of queerness, and for women. I learned that the truly strong, masculine person is a patient and attentive lover, an oasis of safety in a world full of violence. I am a much better man for having been a butch. I wouldn’t use the language of butchness to describe myself today. But I still feel a deep sense of connection and affiliation with that experience. I still see myself reflected in my butch sister-brothers. I honor the beauty, strength, and courage of these proud beings, who have walked every corner of the earth, in every era of history. And I still see myself as part of the same tradition, the same spiritual lineage, as butch people. My choice to transition was as affected by social norms, technology, and the accidents of history as it was by my deepest self. It is easy for me to imagine making different choices, were I living in a different time, with different options. Who would I be in a society that held places of honor for three or four genders? Who would I be before medical transition was an option? I don’t know, and I don’t need to. What I know is that those of us who were made a little different have a lot in common. And we have a special role to play in the great, strange game of history.